Contact us to find out more about our full range of resources in this area and to book these resources for your event or training session. Images reproduced with the permission of HealthEdco and Gasp. For children and adolescents who experience difficulties with peer relationship. Enables both victims and bullies to understand the dynamics underlying bullying behaviour. The wellbeing workbook for schools series covers personal, social and health education and citizenship at key stage 1 level. The series has been designed to encourage pupils to lead happy, confident and independent lifestyles, whilst promoting awareness of various health and safety issues. OSHEC Curriculum descriptors and teacher page titles. 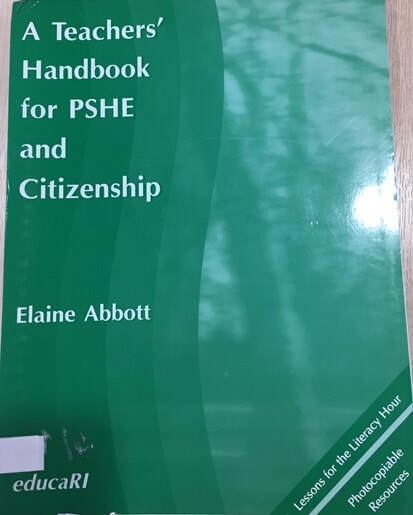 This book offers a comprehensive and flexible resource for teaching key stage 1 and 2 PSHE and citizenship curriculum. It contains lesson plans to cover nearly all the key areas of the curriculum, as well as a wealth of photocopiable children's material. Resolve conflict with this incredibly exciting interactive DVD which puts learners in complete control of the outcome of the story. An incredibly innovative DVD resource to aid discussion around issues of conflict, which plays out tense scenarios where viewers can choose the outcome. Description: Cards for Life is a unique resource designed to help adults and young people discuss the dilemmas and moral issues they face as they mature. 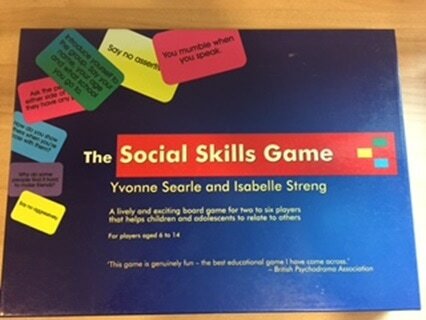 It comprises 40 scenarios based on real-life situations that young people say are relevant to their lives, together with questions to prompt and guide discussion. Examples include: being healthy, staying safe, enjoying and acheiving, making a positive contribution and economic well-being. Also included are eight blank cards to create your own scenarios. • Situation cards. How would you feel? • You are feeling… How would you show it? • You are feeling… What would help you to deal with it? • A friend is feeling… How could you respond to be helpful? • Situation cards. How might the other person feel? 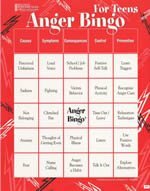 Teaches anger management, explore anger triggers, symptoms, causes, control, and prevention, in this non-threatening game format. Up to 16 players. For 2-4 players. This game helps kids transform their anger. 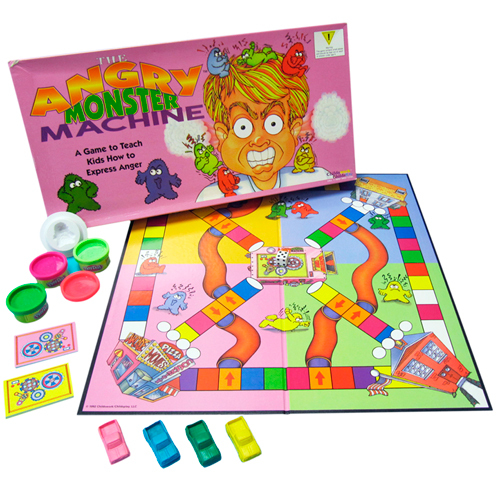 This ingenious game was designed to have a high play value for children who have problems with anger control. Teaches children to channel their anger into a more appropriate form of expression. 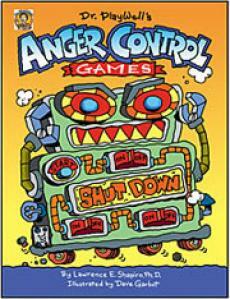 6 games designed to teach children understand and control their anger. Games take 15-20 minutes to play, and each game teaches a specific anger control skill. Description: A self help guide using Cognitive behavioral techniques. 14 minute animated film designed to help parents and carers give support to babies and children under 5 who have been bereaved. With accompanying booklet. Suitable for viewing by parents alone, with their children and in group work. Author Marilyn Gootman has seen her own children suffer from the death of a friend, and she knows what teenagers go through when another teen dies. If you're a parent or teacher of a teen who has experienced a painful loss, this book is for you, too. Audience: Ages 6 to 18. The board game illustrates nature's basic cycle, which, like the grief cycle, moves from stormy intensity to relative calm. 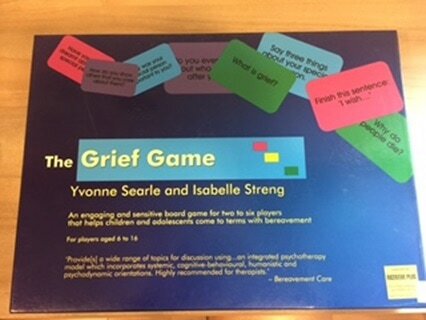 Game cards introduce techniques that can help children work through the grieving process. Players learn to share memories, explore feelings, enjoy laughter and play, relax, and identify their own coping strategies. When they complete the Star Path, they each receive a Shining Star-which serves as a reminder of new coping skills learned. Whether loss has occurred through illness, death, or a change in lifestyle-such as a move, a divorce, or new custody arrangements-this game lets children resolve their grief in an open, supportive, and caring environment. This accessible book demonstrates how to support children through effective and sensitive communication, covering types of communication, language, information sharing, and overcoming common barriers. Description: With this book, Kübler-Ross and LIFE LESSONS co-author David Kessler revisit the five stages in order to create a deeply empathetic and accessible guide for those in grief. The authors deliver insights and advice designed to help readers normalise their lives and find the courage to continue. 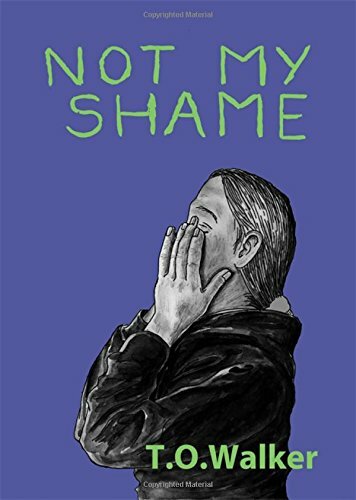 Description: This powerful graphic novel draws the reader into the experience of trauma and dissociation caused by sexual violence. It reveals the intrusive traumatic memories and distress experienced by a victim of childhood sexual exploitation in her adulthood and follows the process of coming to terms with her past through therapy and art. ​Helping vulnerable children and adolescents to stay safe: creative ideas and activities for building protective behaviours. 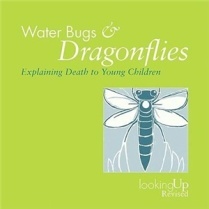 Description: Full of creative ideas and activities, this guide provides the tools to help children develop key skills. ​Topics include work around: building resilience and problem solving skills; identifying a 'safety network'; developing emotional literacy; awareness of grooming strategies and safe/unsafe touch; and cyber safety. Description: ​This manual is designed to help survivors of child sexual abuse. It updates the first edition, and investigates all the effects of child sexual abuse, which often persist into adult life - guilt and shame, depression and anxiety, eating disorders, fear of relationships and sexual problems. It includes discussion of false memory syndrome and female abusers, and draws on accounts of survivors who want their voices to be heard, offering a positive and optimistic approach to help survivors break free from the past. Description: Based on the experiences of hundreds of child abuse survivors, The Courage to Heal profiles victims who share the challenges and triumphs of their personal healing processes. Inspiring and comprehensive, it offers mental, emotional and physical support to all people who are in the process of rebuilding their lives. Description: Developed by two master clinicians with extensive experience in cognitive therapy treatment and training, this popular workbook shows readers how to improve their lives using cognitive therapy. The book is designed to be used alone or in conjunction with professional treatment. Description: The author reveals powerful new techniques and provides practical exercises that will help you cope with problems and learn how to make life a happier, more exhilarating experience. Description: We all have low moods from time to time. Usually, the mood passes after a few days and we get back to our normal way of living. We may say that we have been 'depressed', 'down in the dumps', 'fed up' or have had the 'blues'. But low moods like this are not what doctors call depression. Instead, they use the term to describe a more severe illness which a person has had for at least a few weeks, affecting the body as well as the mind. There has been an increase in the rates of depression over the last 40 years which may be the result of the way we live our lives now. The good news is that no matter what the cause of depression it can be treated and treated effectively. Most people who are depressed and have treatment get better. 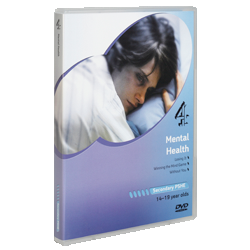 Description: Fully updated and based on extensive feedback, Overcoming Depression and Low Mood is a series of short self-help workbooks for use by people experiencing low mood and depression. Developed in liaison with a wide range of experts, the course provides access to the proven Cognitive Behaviour Therapy (CBT) approach. Description: This book is a self-help manual for those who have experienced mood swings and gives background information on depression and mania. The author uses tried and tested practical techniques that will help people identify and manage their mood more effectively, and achieve a more stable emotional state. Contains a complete self-help programme and monitoring sheets. Description: This handbook will be invaluable to everyone who has suffered from mood swings, food cravings, any form of eating disorder, hypoglycaemia, or PMS. Description: ​Research indicates that at least one in ten new mothers experience post-natal depression, yet there is little help available to sufferers. Cara Aiken's book will help them, and the professionals who work with them, to understand this illness. The book tells the stories of ten women from very different backgrounds - including the author - who have suffered post-natal depression. Description: This book attempts to provide a comprehensive guide to self-help, explaining the principles of anxiety reduction, giving treatment instructions in easy-to-understand language. It covers compulsive checking, washing, hoarding, obsessional thoughts and worry, obsessional personality and depression. Description: Katie invites readers to learn about OCD from her perspective, helping them to understand what it is, how her obsessions and compulsions affect her daily life, and how people around her can help. Description: In this new updated and fully revised edition of this bestselling title Lindenfield helps us to recover from a deep-seated hurt and cope with knocks to our pride. Description: ​In ‘The Positive Woman’, Gael Lindenfield shows women how it is possible to transform their lives with a new and positive approach, which can affect everything from the state of their wardrobes to the state of their relationships. Description: Pack from the National Self-Harm Network designed to help people who self-harm explore and understand it. 2 photocopiable workbooks designed to help children and young people build self-esteem. 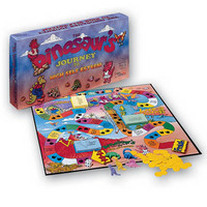 The Dinosaur's Journey takes children through the Valley of Values, the Cave of Acceptance, and the Land of Courage. For 2-4 players. Description: This resource creates an opportunity for teenage girls to be clearer and more positive about their developing identities as young women. The 10-session programme improves confidence, self-esteem and self-awareness, with the talk element encouraging students to develop their own problem-solving strategies. Description: Activities for exploring personal, social and emotional issues for young women to build self-esteem, confidence and assertiveness. An early years resource that provides a range of ideas to enable practitioners to meet the needs of the 3-5 year olds in both statutory and non-statutory early years settings and promotes Personal, Social and Emotional Development. 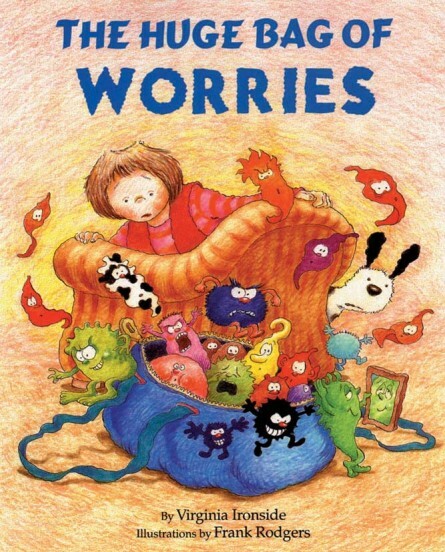 A funny and reassuring story designed to appeal to children who have occasional worries. ​Description: Britain's best-loved TV doctor Hilary Jones knows from experience how difficult it is to relax amidst busy schedules, tight deadlines and demanding children. In his definitive guide to coping with stress in all its forms. Title: What's all this about stress? Description: ​Ursula Markham's positive and practical book will teach you how to control the stress in your life, and gain self-confidence. Filled with useful charts, exercises and examples, it will help you to: recognize the symptoms of stress overload; assess your stress factor; relieve tension through lifestyle changes, diet, physical and mental relaxation techniques; and utilize the positive power of stress. ​Description: How to turn your fear and indecision into confidence and action​. 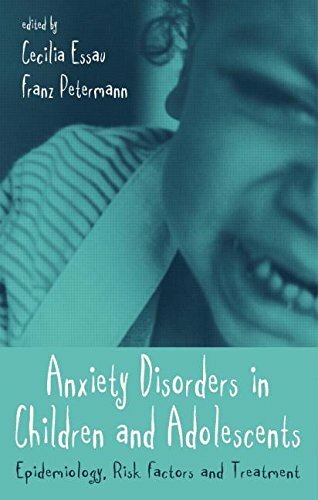 Description: The aim of Anxiety Disorders in Children and Adolescents is to present a comprehensive summary of the most recent empirical findings in this area. Written by eminent researchers and clinicians from Europe and America, the book is divided into three broad sections. Description: ​Overcoming Social Anxiety and Shyness is a self-help manual for this common problem, which explains why it happens and sets out practical methods of resolving it. Description: ​A guide to making worry work for you, helping you to avoid stress and anxiety. The author sets out to teach how to understand fear and face the possiblities of life calmly. Description: An indispensable guide for those affected by panic and/or associated agoraphobia, their friends and families, psychologists and those working in the medical profession. It explains the many forms and causes of panic and contains a complete self-help program and monitoring sheets, based on clinically proven techniques of cognitive behavior therapy. Description: Activities for kids with sensory processing disorder.